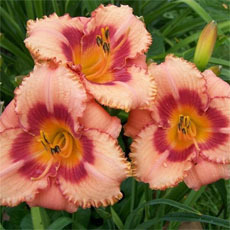 this a tough an resilient little powerhouse of a plant.It is a great filler for a mixed container planting. The dark blotches on the leaves combine well with other dark purple/black flowers. The flowers are sporadic but nice- small, mid-pink and held in loose, airy sprays. I had a very successful container combining this plant with petunia "black velvet", impatiens "tempo violet", sweet potato vine "blackie", and verbena "Lanai bright pink". It does well in about half sun. average water needs. multiplies like mad. A lovely addition to hanging pots with caladiums, tuberous begonia and other partial shade loving plants. I use to add color and variety to containers, hanging pots and woodland borders. Dainty pink blooms wave in the breeze all summer long. I am in 6a or b due to elevation so I lift and store for the winter. Oxalis is one of my favourite houseplants but I am not succeeding with any of them this year. I planted Iron Cross corms in the spring. 2 came up. One died. The surviving one has 2 crooked leaves, nothing else, It is now on my glazed balcony. I hope it will grow more, less crooked leaves and flower there. I got 6 iron cross bulbs in August as a gift and planted them 2 weeks ago indoors in a pot all their own near the glass sliding glass door so they can get sun. (New potting soil). I watered them at first, and have been watering them once a week. They have not sprouted. Any advice? I LOVE this plant. I purchased a single plant about 6 weeks ago. It sits in a location where it gets mostly full sun/borderline part sun. I water it frequently, and it get's watered by accident when I spray down the walk way to my house. It doesn't seem to mind, it is flourishing. When I leave for work in the morning the stems and leaves are all perked up as if to say, "Hello, have a happy lucky day!" Every morning I approach my car with a huge smile on my face. I am definitely going to buy more. I've never had a plant that I enjoy more than this little guy. 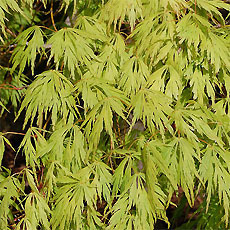 Periodically, I remove the older leaves. This seems to have added some benefit. This particular plant of mine keeps a nice rounded shape. I really can't say enough about how much I LOVE this plant. I want MORE!!! I planted 5 little bulbs/tubers/or whatever they are, and in one summer had enough for myself and 3 other people. When I dug them up in the fall to store for the winter, they were huge! I shared them with several friends this spring. I am going to experiment with leaving one or two in the ground over the winter (I'm in zone 4a). Whether they make it or not, I'll still have plenty. This is a very attractive plant and it's interesting that the flowers open in the morning and fold up by mid-afternoon or so. They bloom all summer long. 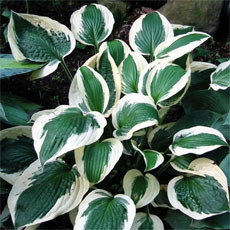 Mine perform best in part shade and do need watering every couple of days if it doesn't rain. I bought this plant a couple of years ago on a whim, one of my few "impulse buys". It's colour and four-leafed clover appearance were what caught my eye and it has been a favourite of mine ever since. It was difficult to keep in my dim old house. We didn't get much light in any of the windows, and winter can be especially dreary in Winnipeg. Yet I was determined to grow this one, and so placed it in the sunniest window we had and hoped. It wilted, it drooped, I'd water it and it would perk up. Then within the next day or two, it would be flagging again. Seems it's a water-hungry thing, and the desert dry humidity in my house was sucking it of any moisture, but with careful attention, it thrived, even bloomed, and I was happy. Later, I was beginning a lon... read moreg-distance relationship, and I was now travelling regularly between Winnipeg, Manitoba in Canada, and Valley Village, California, and I'd have to leave the watering and care of my plants up to my room-mate. 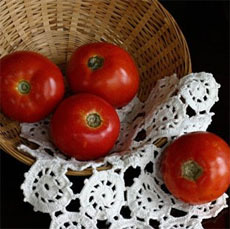 When I came back, it was a horror: many of my plants were dry and withered-looking, several were completely dead. I thought the Oxalis was one of them- dried out, no leaves left, the bulbs just sitting there with no life seemingly left. But I looked closer and saw that they still had a bit of green in them, and I wondered if Oxalis had a dormancy period during winter. So I just kept watering it a little every other day or so and hoped. Eventually, with water, light and my crossed digits, it started coming back: a few straggly stalks were enough to convince me that I could save it. So I resolved to take it with me to California, where I was moving to be with my now-fiancee, even sacrificing space for other belongings to bring it with me. Once in Southern California, it exploded in growth, putting out shoot after shoot after shoot, blooming it's lovely little pink flowers every couple of weeks. 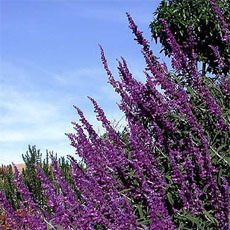 In short, it's a tough little plant, not the most drought-resistant, but able to bounce back from near-death. I'd suggest to anyone who wants to try growing it in a Southern Californian climate to keep it in pots either indoors or in light, sun-dappled shade (the near-Equatorial sun can burn it) and water regularly. 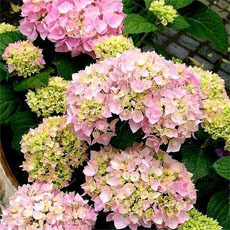 You'll be rewarded with a handsome plant with great-looking foliage and delicate pink flowers. And who can resist having an entire plant that's made up of four-leaf clovers? It sits in my container-garden at the apartment block where my husband and I (we were married this june) make our home, and it's one of the prides of my collection. I was really weary that an Oxalis could really be hardy for me. I was sure I was right when I hadn't seen it through May or June...but sure enough it started to pop up in late June. I'm in Zone 6 - and I'm glad to have found this one! I agree that this cultivar seems to prefer more sun than the shady spot I've given it. Mine is in a pot in the shade and it is kinda leggy, searching for sunlight. Iron Cross is easily my favorite plant in the front of my garden with it's interesting leaves and dainty salmon pink flowers. It does fine in full sun. The leaves and flowers close up at night and open with the sun. These plants were here when we moved in two years ago. They disappear in the fall and reappear in the spring. a WONDERFUL oxalis species...the first time i tried it, it bloomed before any of the leaves even opened! but the leaves werent far behind! such a lovely color combo on the leaves! I grow them into pots - they thrive in shade so make good accesoories with other shade annuals and then you can storage the bulbs inside for the winter. I live in zone 5b, and the iron cross oxalis makes a fabulous addition to my garden! I received the bulbs as a gift in July (clearance bulbs) and decided to just plant them then. I'm glad I didn't wait, for now they are sprouting and blooming! I don't have any experience growing this cultivar, but look forward to it. 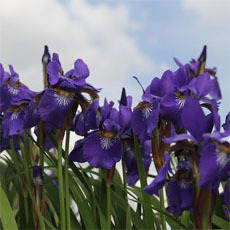 The center of the leaves is marked with purple, thus the name Iron Cross. They prefer a fairly sunny location. I really like this one. Super easy to grow in almost any location. It multiplies fast, I initially got 5 bulbs as a promotional mail order gift. Within a few years I had enough to give extras away. They are 'tender' bulbs, so treat them like Dahlias, lift them in the fall and store them in a cool not freezing location in a paper bag. Divide in spring and plant after danger of frost has past. 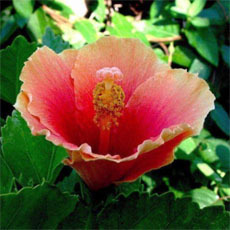 It can bloom in as little as 2 weeks after planting, in warm conditions. Nice in pots or as ground cover. A delightfully different oxalis--and fast growing! I planted bulbs just two weeks ago, and already have two little beds going. 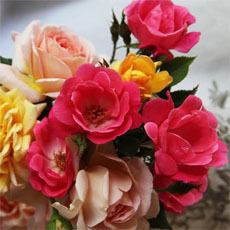 The blooms are such a beautiful coral pink, with a spiralling effect in opening, leaving the blossom fan-like. I really like this plant. I planted 20 bulbs in a pot. These bulbs were ones I had forgotten about and were all dried up. I thought maybe a few would grow but it looks like they all did. I really enjoy them but next year will spread them out over a few pots. They need twice daily watering to not droop. This is a wonderful companion plant to Geranium phaeum 'Samobar', with each enhancing the variegation of the other. Both of look wonderful under Cercis Canadensis 'Forest Pansy'. It has been slow to emerge in the spring, so don't assume it was lost over the winter. It should be putting up leaves by mid-May. It should be noted that all Oxalis foliage contains oxalic acid, which puts the sour in sourgrass. Although chewing on a leaf or two is harmless, it is possible to ingest enough leaves to get a toxic dose of oxalic acid.